Matt Winn is Volusion’s Marketing Communications Manager, where he helps oversee the organization’s branding and communications efforts. Our current culture is riddled with mobile junkies addicted to their tablets and smartphones. While this newfound obsession has had quite the negative impact on dinner conversation, it does present a great opportunity for retailers to take advantage of this mobile fixation by providing a high-impact, enjoyable mobile commerce experience. The problem? 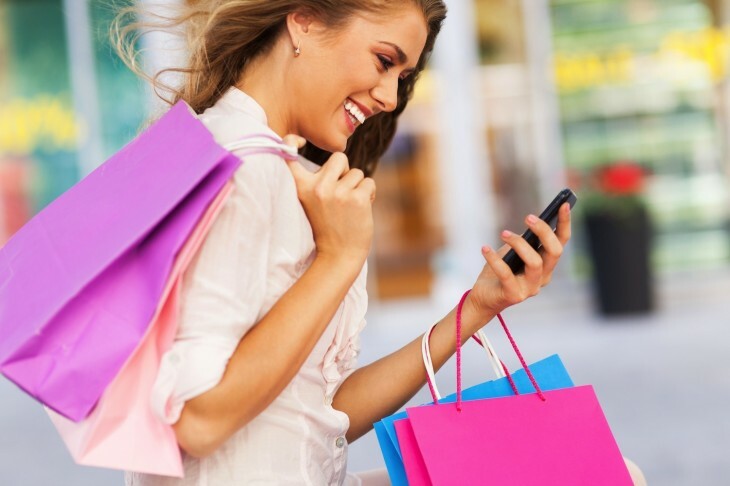 Far too many retailers make critical errors when it comes to mobile commerce. Here are the top five issues you will want to avoid. The majority of your mobile traffic lands directly on your homepage, so you should direct visitors where you want them to go: deeper into your website. Keep in mind that shoppers are interacting with your site via a much smaller screen, so having complex carousels or dramatic slideshows on your homepage can be highly distracting. From a more tactical standpoint, the majority of shoppers use smartphones to browse and research products, so provide immediate access to your product categories. Even more, overcomplicating your homepage can and will cause slow load times, which not only ranks as the number one user complaint for mobile sites, but also negatively impacts organic search results. Remember the last time you entered your name, billing information, shipping information and credit card number on a 4-inch screen? The same cumbersome experience holds true for your mobile customers. That’s why, from a user experience standpoint, you should work to keep the amount of information required for checkout to a minimum. With 66 percent of mobile shoppers failing to complete a transaction due to obstacles presented during checkout, removing barriers from the checkout process is a key function to increasing mobile conversions. To do so, only require the most basic information, and even more, allow repeat customers (both from mobile and desktop) to log in and use saved payment information. This simple step will make the checkout experience much more seamless and efficient. While QR (quick response) codes may seem like an innovative mobile marketing tool, consider it officially old school. Long story short, QR codes ask a lot from users, including the following steps: recognize QR code, pull out mobile phone, launch QR scanner app (assuming they already have one downloaded), perfectly align mobile camera to QR code, snap picture, submit QR code, wait for response, then arrive on desired website. Seems like quite the chore in this day of mobile apps and readily available mobile websites. Unless you have experienced success with QR codes in your mobile marketing campaigns, shy away from them. Not only are they difficult to use, consumers don’t believe that scanning QR codes are worth their time, which can lead to negative associations with your brand. As of January 2014, 51 percent of email is opened on a mobile device. This means that if your email campaigns aren’t optimized for mobile, you’re making a huge mistake. To get started, take a look at your email statistics over the past year to see trends in open rates from mobile devices. Even more, study your mobile click-through rates – if there’s a big gap in this metric between desktop and mobile, it’s time to make a change. Fortunately, there are several email solutions that are easy to use and fully optimized for mobile. When looking at your options, search for technology that has built-in responsive design so all email content is guaranteed to render perfectly, regardless of device or screen size. Speaking of content, keep your messages clear and concise, and avoid long bits of copy or overly complicated graphics. Once you put these design and technology pieces in place, start benchmarking your email metrics to track progress and identify additional opportunities for optimization. After all, email marketing is one of the most powerful tools in your arsenal, so don’t ignore it. This one may seem like a no brainer, but it’s easily one of the most common mobile commerce mistakes: make sure that all content on your site, particularly documents and video, can be downloaded or played on a mobile device. One far too common example of this comes from mobile sites using Flash, which presents a compatibility issue with Apple’s iOS, meaning that iPhone and iPad users can’t interact with this content. This same story is true for PDF files on your mobile site – Apple and Adobe don’t play nice together, so many Apple users will be unable to download or review these documents. Just as important, Google has directly stated that having inaccessible content is a top mistake for mobile sites – and if Google says it’s a mistake, you’d better listen. Love or hate our mobile-crazed culture, you can’t deny the opportunity that this technology has to offer. To recap: keep your mobile site simple and uncluttered, focus on usability, and directly pursue the benefits of mobile marketing. Once you embrace these pieces of advice, the mobile landscape will become your proverbial oyster.